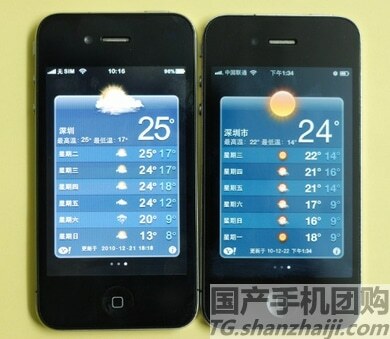 Are you curious or want to know how to determined if an iPhone, iPod Touch, or iPad is real or fake/Chinese? Is very useful to know whether the device is fake or genuine, and sometimes is very hard to tell because there are many fake iPhone and iDevice that look identically to a genuine Apple device. Here’s a list of the easiest and most common ways of finding out and distinguish fake iOS devices. If the iPhone has two batteries or two SIM cards it’s automatically fake. The iPhone/iPod Touch/iPad battery is not user replaceable. If the iDevice is made of full-plastic. Te best way and easiest way to find out is its connecting to iTunes. iOS App/App Store doesn’t work on fake devices. There are many ways of finding out if the device is fake but those are good and easy ways of checking as well. Fake knock-offs Apple products will never be same as original, texture, material use, etc. So if you believe you have been scammed with a fake Apple product you should try those method to confirm if the device is real or fake.